The Japan Maritime Self-Defense Force (JMSDF) commissioned its 10th Sōryū-class diesel-electric attack submarine (SSK) on 18 March. The submarine JS Shoryu (SS-510) was built by Kawasaki Heavy Industries (KHI) and its shipbuilding subsidiary Kawasaki Shipbuilding Corporation (KSC). The boat was commissioned during a ceremony held at the KSC shipyard in Hyōgo Prefecture, central Japan. 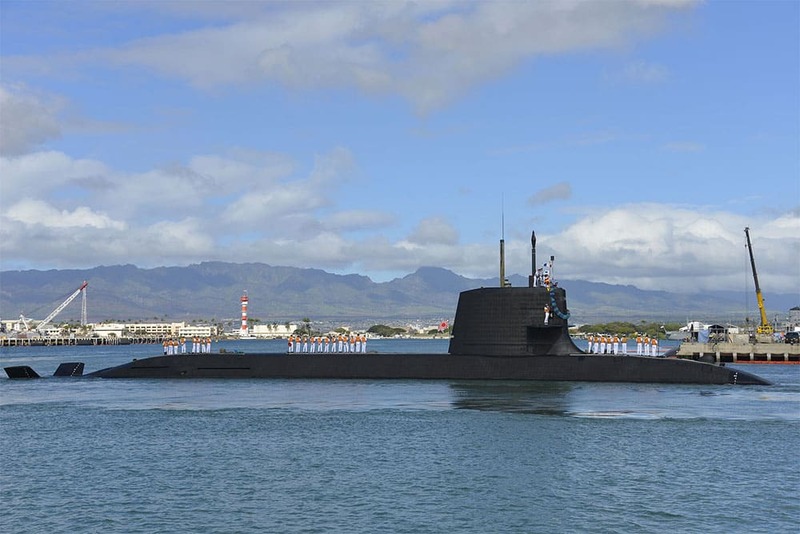 Shoryu is the eleventh Sōryū-class to be completed (tenth to be commissioned) and the fifth to be built by KHI, with the other six submarines constructed by Mitsubishi Heavy Industries (MHI). A total of fifteen are currently planned. Powered by two Kawasaki 12V 25/25 diesel engines and four Kawasaki Kockums V4-275R Stirling engines, the 84-metre, 2,947-tonne submarine carries 65 sailors and has a maximum speed of 20 knots. The submarine has six 533 mm torpedo tubes that can launch the Japanese Type 89 heavyweight torpedo and the US UGM-84 Harpoon anti-ship missile. The class of submarine Sōryū means blue dragon in Japanese while Shoryu is named after a Second World War Japanese aircraft carrier sunk during the Battle of Midway in 1942.